My dog Laika had some mild separation anxiety years ago, and for anyone whose dealt with that issue you know one thing – it’s no fun at all. It’s stressful enough to get up and get ready for work everyday (aka being an adult, or “adulting” as I prefer), but when you add in the fact that your dog is following you around everywhere getting sad & nervous as you get ready – well it can be quite heartbreaking. Luckily for me her separation anxiety was mild, and thus fairly easy to treat. Here’s the one little trick that helped my dogs mild separation anxiety. 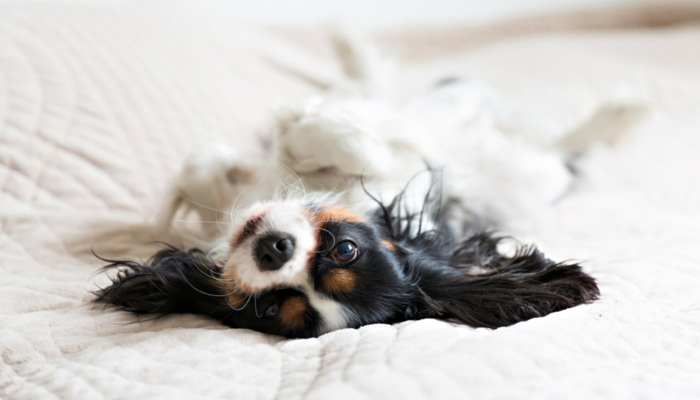 Does your dog get anxious and upset as you’re getting ready to leave for work or school? 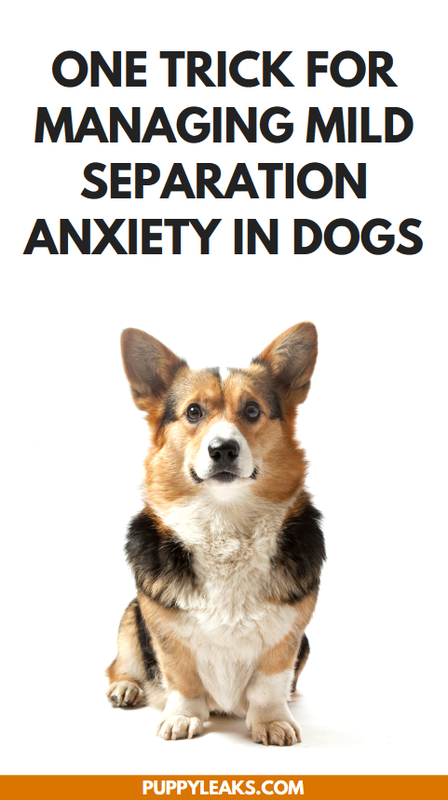 If so your dog has some separation anxiety issues, and you’re not alone. An estimated 20% of dogs have separation anxiety. 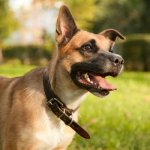 As with many canine issues the behaviors associated with it can range from mild to severe. With Laika it was a little hard to tell if she was really anxious or not since she’s quite the velcro dog, aka dog that follows you everywhere. But as I got ready for work I could tell she was getting antsy because her usual ‘I’m going to follow you around in a calm manner’ mentality turned into more of a ‘hey, what are you doing now?’ one. My dog fit into the mild category when it comes to separation anxiety, so the treatment wasn’t complex. She only got anxious as I was getting ready, and those behaviors disappeared after I left. For severe cases, or cases where your dog continues to panic after you leave I highly recommend getting help from a professional. Severe cases of separation anxiety can be hard to manage, and there is no ‘one size fits all’ quick fix. 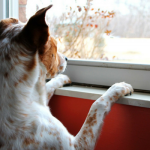 If you suspect your dog may have a serious case of separation anxiety check out the resources at the end of this article for help. If your dog has a severe case of separation anxiety you may need more than this one little trick. Check out the resources at the bottom of this article for more information. If your dog has a severe case of separation anxiety you’ve witnessed first hand how much stress it can cause. 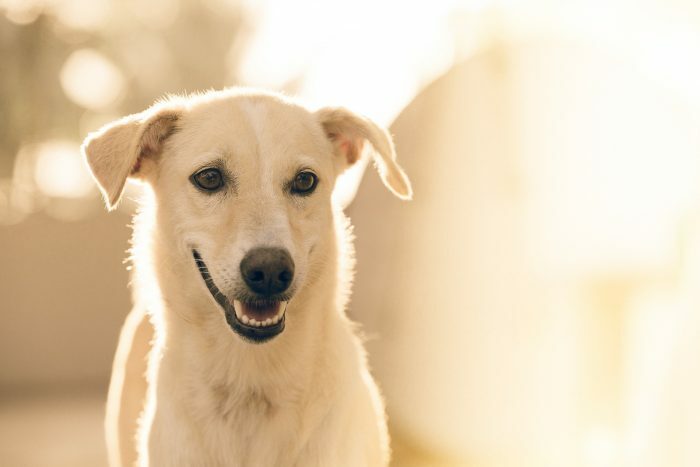 In the most severe of cases dogs aren’t just suffering tremendous psychological stress, they can become physically injured by their behaviors. And the problem isn’t likely to get better on it’s own, in most cases it continues to get worse if not treated. Helping your dog manage their anxiety when you leave isn’t just about preventing a severe case, it’s also about helping them feel comfortable & confident in their daily routine. The reason it worked was because it turned her ‘oh no she’s leaving’ thought into ‘sweet, look at this awesome yummy thing I have.’ Once I gave her that Kong she wasn’t worried about me anymore, or the fact that I was about to leave for 8 hours. She put all her focus onto that Kong, and I was shocked at how well it worked. She didn’t even glance my way as I left after that. All of her attention went to that stuffed Kong & nothing else. 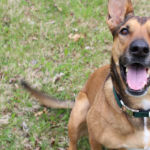 You can help your dog manage their separation anxiety by giving them something fun to do. Shift their focus away from you & your getting ready routine onto something else that they enjoy. My biggest tip for dealing with your dogs mild separation anxiety is to give them something to do as you leave. For us a stuffed Kong was perfect; it kept her occupied for a long time, and it’s something she goes bonkers for. If your dog is already a pro at dealing with a stuffed Kong try freezing it overnight to make it last even longer. Now the most surprising thing about this little trick is that it doesn’t suffer from diminishing returns. If anything it made Laika much more calm in the mornings altogether. After a few days of getting that Kong as I was leaving she knew the deal. She wasn’t pestering me as I put my shoes on anymore, she was calmly waiting for her treat. That Kong became part of her daily routine, something nice to look forward to at 7:30 every morning. By giving my dog her very own important thing to do every morning she became much more relaxed. She was no longer just focusing on my frantic morning routine, she had her own thing to worry about – that beloved Kong of hers. If you want to help ease your dogs separation anxiety give them something else to focus on when they’d normally be showing those stress signals. If your dog starts to panic as you grab your keys every morning give them something right before that moment. Take them from that ‘oh no she’s leaving’ thought to the ‘OK I have this awesome thing to focus on right now’ one. Give them something enjoyable to do in the morning, so they’re not just focusing on you. 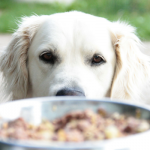 You can help your dogs separation anxiety by them an enjoyable routine to follow in the morning. Instead of focusing on you as you’re getting ready for work they’ll have their very own work to attend to. 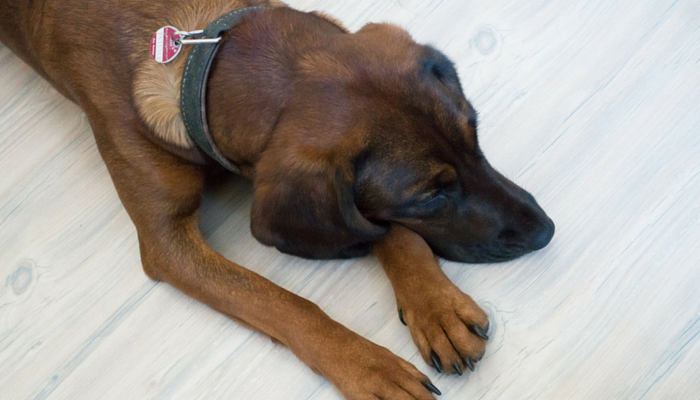 Not all dogs with separation anxiety can be treated by this one little trick alone — much of it will depend on how anxious your dog is when you try it. If your dog is already too stressed out to show any interest in a stuffed Kong they’re going to need more help managing their anxiety. More severe cases of canine separation anxiety will likely need repeated desensitization techniques, and I highly recommend reaching out to a professional for help. Here’s some resources if you’re looking for more information on canine separation anxiety and various management techniques. Ooh yes, the power of a stuffed Kong 🙂 I always make sure to exercise my pups thoroughly before I leave the house, and then I play relaxing doggie music while I’m away – that approach has worked quite well and nipped separation anxiety in the bud. I also make sure that I don’t make a big deal out of leaving or coming back home. I just act as if it were the most natural thing in the world. 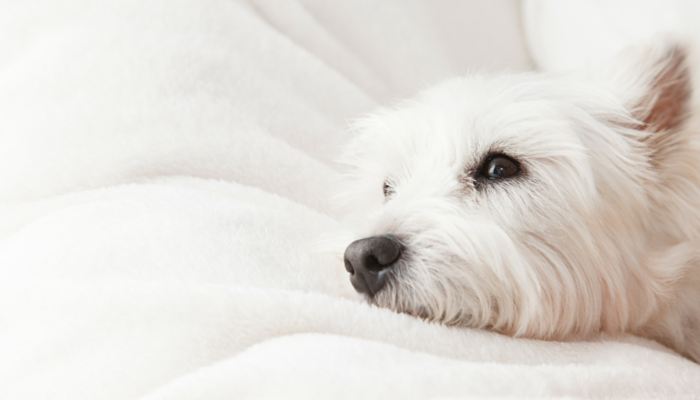 Hi Jen, great tips for helping your dog with anxiety. For more severe issues I have found reiki is a really great way to help them. It helps to reduce stress which is the main cause and leaves them in a peaceful state. It’s also a good idea to wear them out with exercise before you go and crate train them from the beginning, especially if they’re easily bored and prone to destructive behavior. You should also consider crate training so that your furry friend doesn’t demolish your home and hurt him/herself when left alone. Leaving the TV or the radio on “for company” while you’re away will also improve their mood and at the same time distract them from outside noises which might interest or anoy them.